Many studies have shown that hunger affects concentration, and that well-nourished children fare better at school. The government now funds school lunches for all infant aged children. At Whipperley Academy we expect all children to take advantage of their entitlement to a free school meal. We have a kitchen on site and all our meals are prepared by our fantastic kitchen staff who are also able to cater for most allergies. Many parents mistakenly imagine that a packed lunch is the healthiest option. In fact, it is far easier to get the necessary nutrients into a cooked meal. Only 1% of packed lunches meet the nutritional standards that currently apply to school food. Please note that all our meat is halal. Please click on the link below for more information and to apply for free school meals. The cost of milk for the week is £1.00. Milk money must be paid before 10.00 o'clock Wednesday morning otherwise your child will not receive milk the following week. 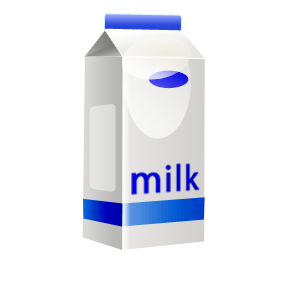 Free milk is supplied for children under 5 years of age. If your child is entitled to free school meals, they will also be entitled to free milk on a daily basis. Every child is offered a piece of fruit everyday at school. A new provider for the payment of school meals - coming soon! As part of their continuous effort to improve online payment methods LBC Catering Services reviewed its provider, and are pleased to inform you that Tucasi (https://www.scopay.com) will be the new provider.